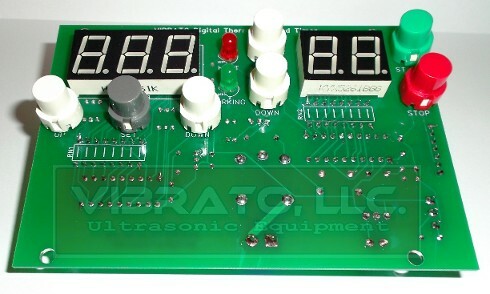 A view of our High-Quality Circuit boards; the Vibrato Ultrasonic Generator, Digital Display and Power Supply. 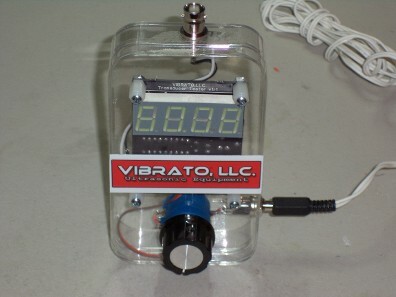 Our Proprietary VIBRATO ULTRASONIC GENERATOR is TUNED to the Specific Resonant Frequency of the Transducers being used. This is important to ensure maximum output and reduce failure due to improper alignment. Running "off-frequency" will cause the circuit boards to run hot, causing failure. We can build Ultrasonic Cleaners with frequencies from 25Khz up to 135Khz! The Tremolo MultiZone Frequency Sweep varies the frequency output to the Transducers, which helps to spread cavitation and prevents "standing-waves" (concentrated areas of cavitation) that can cause damage to delicate items. Our Proprietary Frequency Sweep circuit shifts the output over an approximate 1Khz range on the Left, Right and Center areas of the Tank at different rates, providing superior sweep function. 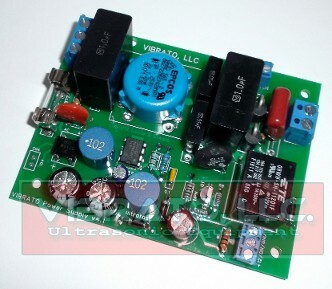 Our Transducer Tester, invented by us, to verify the resonant frequency of transducers purchased. 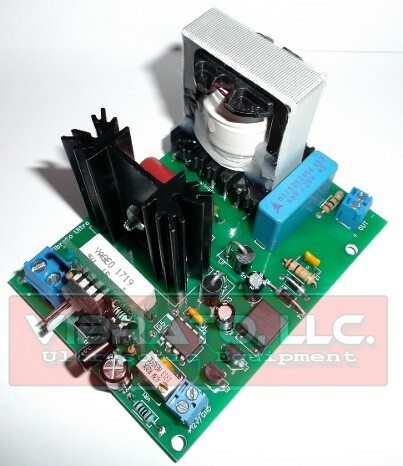 We found that some transducers sold were not the frequency specified. For instance, some 68Khz Transducers turned out to be 54khz instead, and some 55khz Transducers were actually 51khz. Running a Transducer at the wrong frequency will cause the Ultrasonic Generator Boards to run Hot, causing damage and/or premature failure. 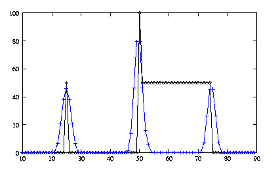 The Resonant Frequency of a Transducer is VERY NARROW. The importance of alignment can not be understated. 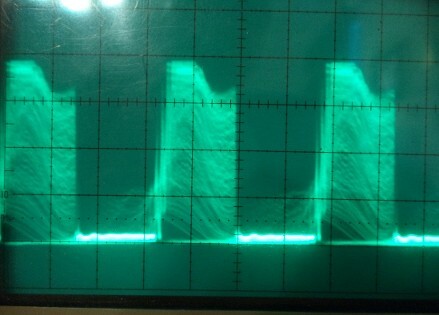 Example of a Properly Tuned Vibrato Ultrasonic Generator on our Oscilloscope (test equipment) below. 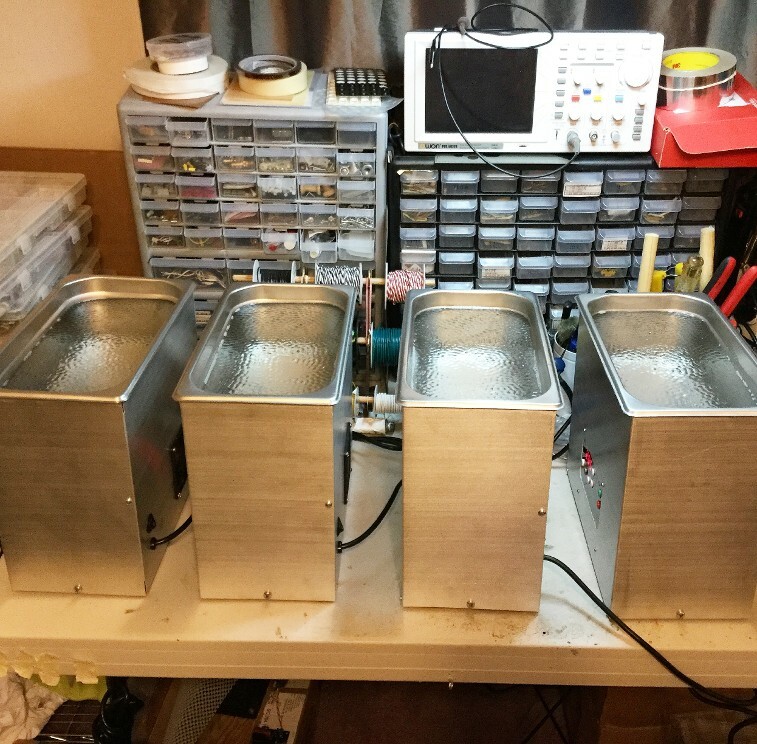 Every Vibrato Ultrasonic Cleaner is thoroughly tested before shipping!